Does your heart sink at the thought of having to write, rewrite or read and evaluate your council’s IT strategy? Do you even need one? 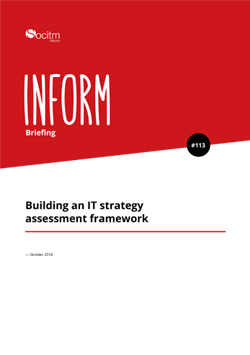 This briefing paper summarises common themes you can use to develop your own strategy or to assess the one you already have.